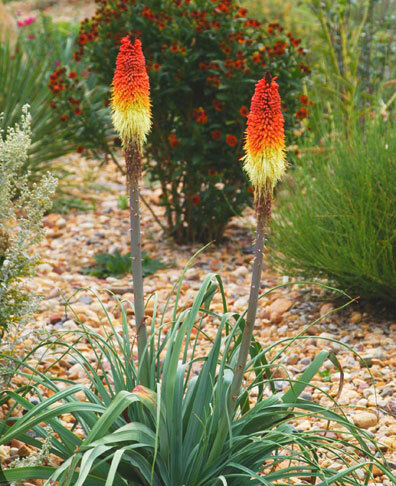 Red Hot Pokers thrive on well-drained alkaline soils in full sun, and are extremely dramatic when in full flower, which is generally late spring through midsummer. The long tubular blossoms are held in dense clusters at the ends of the stiff, upright stems; the flowers open from the bottom of the cluster to the tip. Hummingbirds love them!